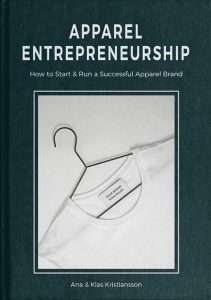 Crowdfunding is a very interesting monetizing option for apparel entrepreneurs. It is not only attractive in the sense of financing your product or business, but also for marketing purposes and to get a feel for the customer demand. If you are not familiar with the term crowdfunding, it means that a lot of people contribute rather small sums in exchange for rewards, typically preorders of a product. You tap into the collective efforts of a large pool of individuals and leverages their networks for greater reach and exposure. You do this primarily online via social media, and crowdfunding platforms. This way you don’t have to give away any shares and you get orders before you have made the products. You use a crowdfunding platform, such as Kickstarter, to build, showcase, and share your product pitch to friends, family, customers, and individual investors. Another example of a crowdsourcing platform is Indiegogo. You can use crowdfunding to generate income early on for one of your product so you can cover the costs of creating and producing your garment. You can present prototypes, and basically get pre-orders of your products. You will have funds to cover the production costs. This way of funding is extra appealing since you don’t have to give away any parts of your company to the investors. Compared to traditional fundraising, where you present your case to one investor at a time, crowdfunding can be very efficient. You present your concept to everyone at once. Starting a successful crowdfunding campaign will draw attention to your products and brand. It is a way for potential customers to notice you and what you are doing. If you are new on the market, crowdfunding can be a way to prove your customers. You don’t yet have an existing audience to try our your products on. Now you can get an understanding for what the customers want. Let’s say you want to crowdfund a new pair of pants. Create a prototype of your garment. There are no rules, meaning you can present just your idea if you want. A great way is to make a first prototype, since it is easier to present and get the customer to understand your product. Sign up on a crowdfunding platform, e.g. Kickstarter. Set up your project and what your funding target is. Make an awesome presentation. Create a video where you present yourself and show how great your pants are. Take fantastic product photos and write texts explaining what these pants will do for the user. Determine the rewards. You will decide what perks, or rewards, your investors will get when they support your project. Browse existing campaigns to get ideas for how to set this up. Marketing. Tell the world about your crowdfunding campaign. The platform itself will not promote your campaign, but it is entirely up to you to spread the world and attract investors. Learn more about how to market your campaign in the full interview in the member zone. Run the campaign. You determine for how long the campaign should be going on. Deliver. Once the funding project is over you need to do what you have promised and deliver your products in time. Make sure you have made a solid project plan that you can meet, or your first customer experience will be negative if you are delayed. At ISPO Munich we met up with Rohan Shah, the founder and CEO of True Revo. Rohan has run a couple of successful Kickstarter campaigns and gave us first hand insights of what to think about when running a campaign. He ran one earlier campaign raising $66,000 and now one campaign for True Revo raising $43,000. If you are thinking about running a Kickstarter campaign, you should definitely take a look at the full interview here to learn som valuable lessons from someone who has done this before. 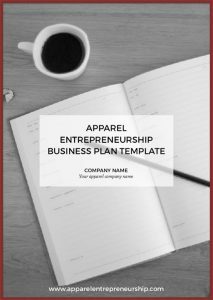 You can find the full interview in the Apparel Entrepreneurship Member Zone. It needs to be a B2C (Business To Consumer) product. Crowdfunding is not ideal for B2B products. Your product needs to be innovative. The main reason people fund your project is not really to support you. It is more that the customers want something for themselves. They want to be the first ones to have the chance to get the brand new product. Create a really good video. The video should tell your story well, be engaging, and preferably funny. Marketing. The platform itself doesn’t help you in any way, shape or form. Meaning you need to put in the work. Rohan started only 1 month ahead of project launch, but it is common to start preparing 6 to 8 months ahead of time. Start collecting emails as early as you can, since this is a cheap form of marketing. Start talking to newspaper and PR companies. Spread the word. If you can boost the launch and receive a lot of funding the first 2-3 days you are in a good position to reach your target. Don’t hire a PR agency if your project is struggling. It will be a waste of money. On the other hand, a PR agency can help you if your project is already doing well.